​A rainstorm with strong winds struck Rio on Wednesday night (6th), killing at least six people. It also caused flooding and left whole neighborhoods with no electricity and triggered sirens in landslide-prone areas. Around 10 pm, the city administration decreed the state of alert and asked residents not to leave their houses. 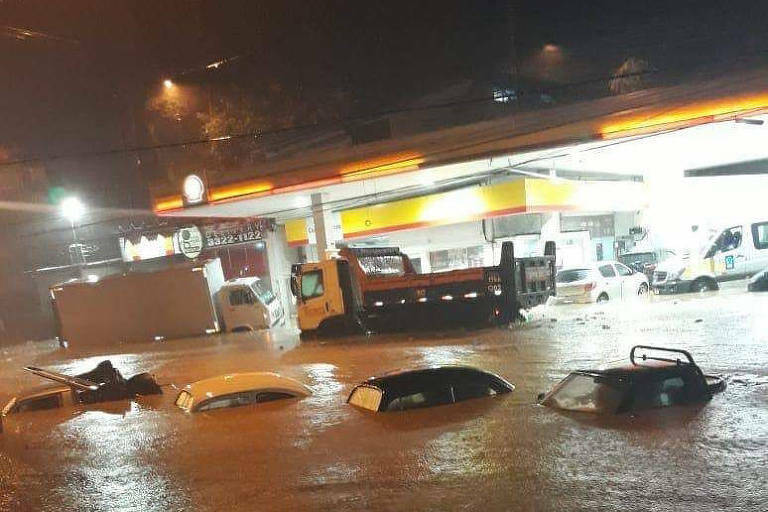 Among the six confirmed deaths so far, one occurred in Vidigal, another in Rocinha, two in Barra de Guaratiba and two on Niemeyer Avenue in the south, where a bus was partially buried by a landslide. Firefighters worked this morning to remove the hardware from the bus under a pile of mud. Governor Wilson Witzel (PSC) blamed the disorderly occupation of slopes and hills for casualties and property damage brought by the storm. Witzel was indirectly criticizing the current and former Rio mayors. According to him, the real estate expansion to the city's slopes and favelas was left unchecked, which made for many people living in high-risk areas. The governor showed a government survey stating that 80,000 families are living in disaster-prone areas around the whole state. After two years in office, mayor Marcelo Crivella (PRB) didn't spend R$ 564 million (US$ 152 million) in available funding for construction work to mitigate floods and contain landslides. From a R$ 731 million (US$ 196 million) budget approved for this kind of expenditure, the Crivella administration spent only 22% of the total, or R$ 166 million (US$ 44 million).